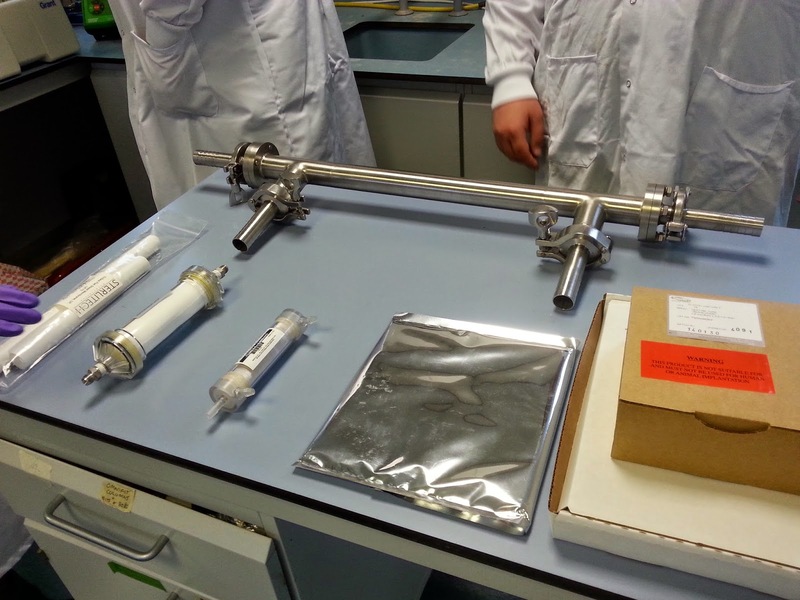 Development and integration of the Nano Membrane Toilet components is ongoing. In the new toilet configuration faeces will settle to the bottom of the holding talk and urine will be removed from the top using a weir. 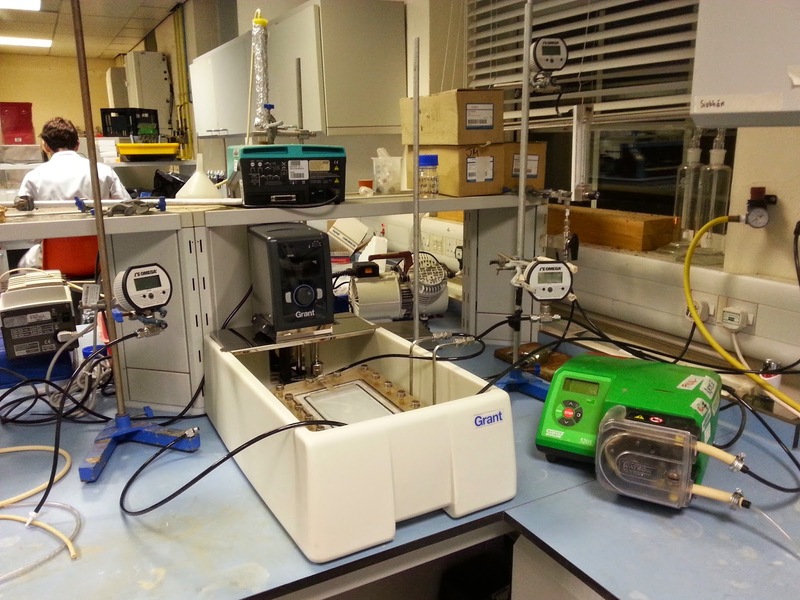 This test rig allows us to monitor water flux and test if any other compounds might be passing through the membrane. This will allow us to extract clean, pathogen free water from the urine. We are testing a variety off the shelf membranes. We'll start testing bespoke membranes shortly. 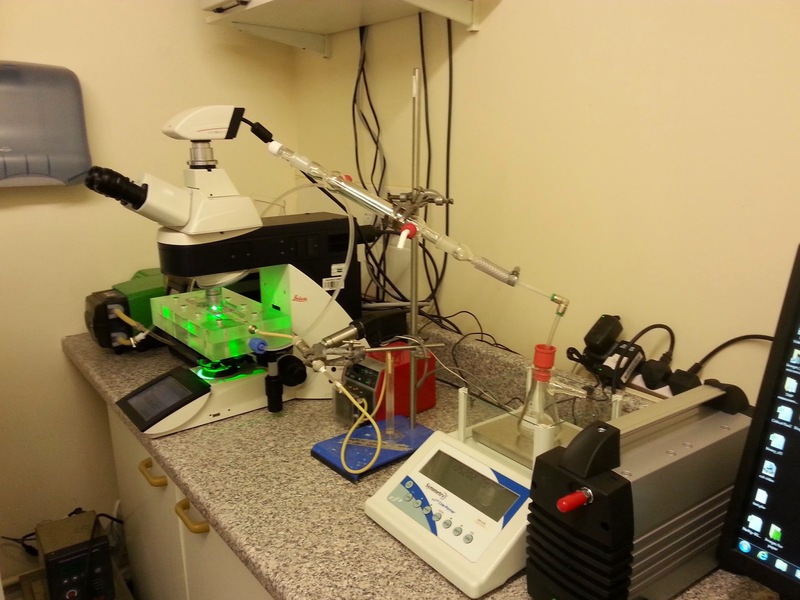 We're also studying the fouling of the membranes under the microscope. We anticipate membrane fouling will be low as the membranes are hydrophobic, so they will only need to be removed for regeneration every 3 months. 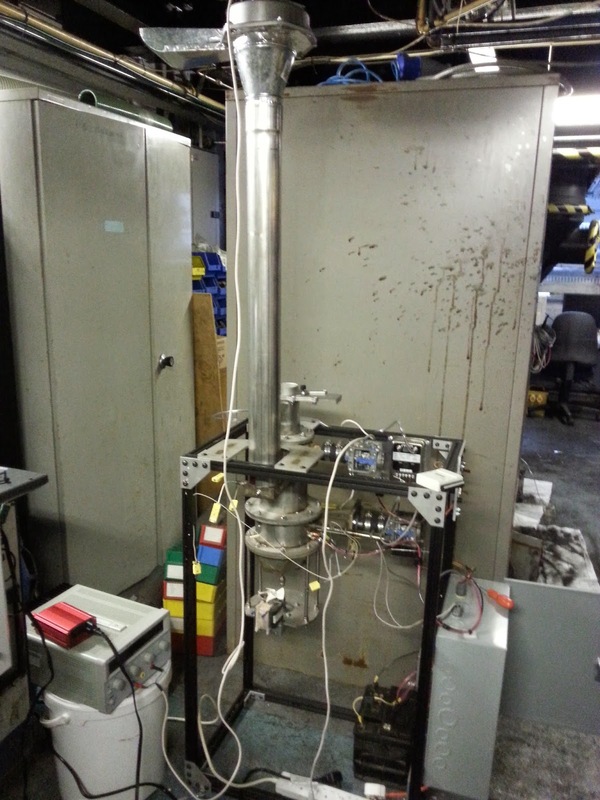 We've also taken delivery of a small gasifier from our collaborators in RTI and Colorado State University. We'll start trials with synthetic faeces, but soon will use real human waste. The gasifier will combust the dewatered human waste, transforming it into harmless ash. 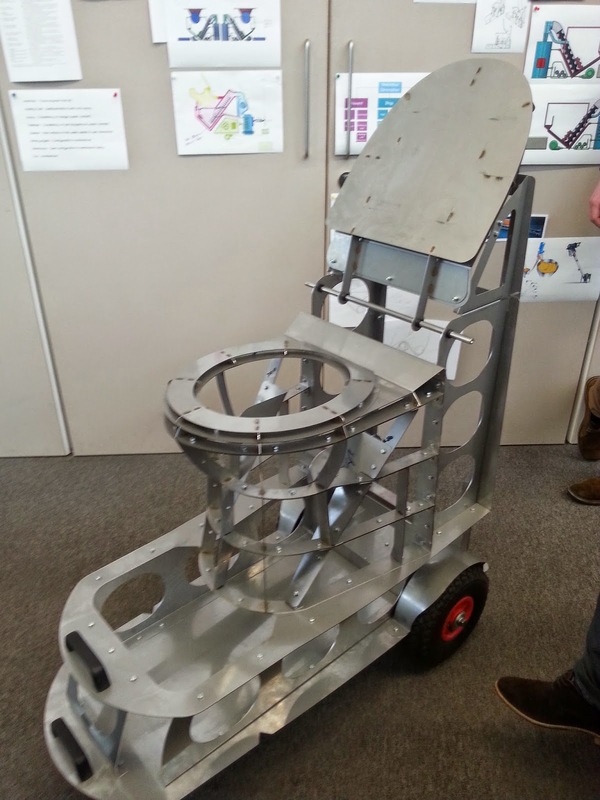 This steel framed version of our iconic household toilet will help us fit together the new components. We've also added wheels for ease of movement during development but also to gain an understanding of how the final model could be transported easily by the end users.